Trump says Uganda must find kidnappers of freed tourist. Uganda responds. President Donald Trump said Monday that Uganda "must find" the kidnappers of a now-freed American tourist and her tour guide "before people will feel safe" visiting the country. 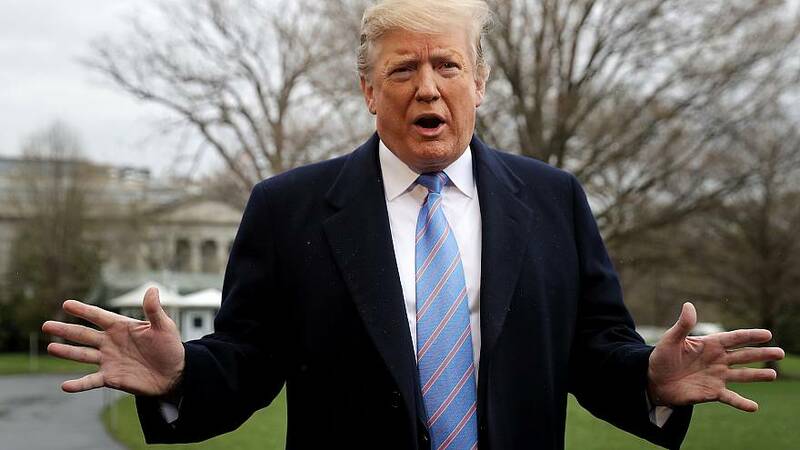 Trump said in a morning tweet that the kidnappers of Kimberly Sue Endicott and safari guide Jean Paul Mirenge Remezo, who were seized in a national park in southwestern Uganda last week and freed over the weekend, must be brought to justice "openly and quickly." A spokesman for the Ugandan government, Ofwono Opondo P'Odel, responded that "there are more gun deaths in the #US" than kidnappings in Uganda." But people still flock to the U.S., he said. Trump's remarks came amid conflicting reports over whether a ransom was paid for the pair's release. Ugandan police said Monday they could not provide specific details on how the rescue mission was accomplished "for future operational security and tactical reasons." Ugandan President Yoweri Museveni said in a statement Monday that he would deal with what he described as "isolated pockets of criminals." He assured Ugandans and tourists that the country is safe and that he would improve security at its parks. 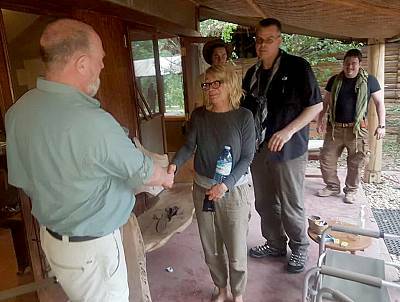 The New York Times reported Monday that Endicott and Remezo were freed after an unspecified ransom was paid, citing officials with Wild Frontiers, the safari company with which they were traveling. Wild Frontiers has not responded to NBC News' repeated requests for comment. Ugandan officials announced Sunday that Endicott, of Southern California, and Remezo were both safe and that their kidnappers had escaped and were still at large. A top Ugandan military official told NBC News they were found in Ishasha on the border of Uganda and the Democratic Republic of Congo. The kidnappers had demanded a $500,000 ransom after grabbing Endicott and Remezo from among a group of tourists on an evening game drive on April 2 at Queen Elizabeth National Park, Ugandan police said. The park is one of the country's most popular tourist destinations.